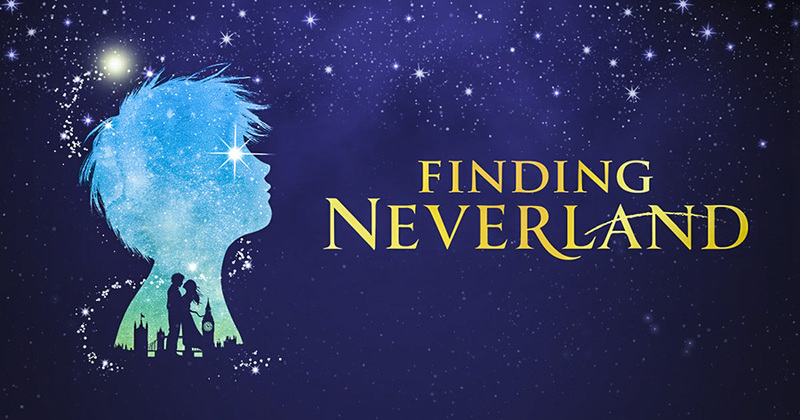 KeyBank Broadway at The Paramount is pleased to announce that Finding Neverland will play at The Paramount Theatre from January 10 to 15, 2017. Directed by Tony-winner Diane Paulus (Pippin, Hair) with book by Olivier Award-nominee James Graham, music and lyrics by Gary Barlow (Take That) and Grammy Award- winner Eliot Kennedy, and choreography by Emmy Award-winner Mia Michaels (“So You Think You Can Dance,” Cirque du Soleil’s Delirium), this new musical, packed with mesmerizing visuals, irresistible songs and plenty of laughs, is a timeless story about the power of imagination and spectacular proof that you never really have to grow up. The production features scenic design by Tony Award-winner Scott Pask (Pippin, Book of Mormon), lighting design by Tony Award®-winner Kenneth Posner (The Coast of Utopia, Pippin), costume design by Suttirat Larlarb (Of Mice and Men), sound design by Tony Award®-nominee Jonathan Deans (Pippin, La Cage aux Folles), hair and make-up design by Richard Mawbey, projection design by Jon Driscoll, music supervision by Fred Lassen, musical direction by Ryan Cantwell and casting by Stewart/Whitley.